"If they (IAF) killed 300, its ok. All I am saying is can you give me more facts and prove it," said Pitroda in a wide-ranging interview to ANI. When asked on his views on the airstrike against the Jaish-e-Mohammad camp in Pakistan's Khyber Pakhtunkhwa region, he added that international news outlets had an alternate view of the impact of the air strike and that the people of India deserved to know the facts of the Air Force operation. "I would like to know a little more because I read reports in the New York Times and other newspapers. Did we really attack? We really killed 300 people? I don't know that. As a citizen, I am entitled to know and if I ask it is my duty to ask, that doesn't mean I'm not a nationalist, That doesn't mean I am on this side or that side. We need to know the facts. If you say 300 people were killed, I need to know that. We all need to know that, people of India need to know that and then comes global media which says nobody was killed. I look bad as an Indian citizen," said Pitroda. Pitroda, who is part of the Congress' manifesto committee for the 2019 Lok Sabha elections and is considered a senior ideologue of the party, sought a dialogue with Pakistan. "I am a Gandhian, I believe in more compassion and respect. I believe in more dialogues personally. I think we should have a dialogue with everybody. Why just Pakistan? We are having dialogue with the whole world," added Pitroda. Pressed further to clarify if talks with Pakistan was an option post the Pulwama terror attack which killed 40 CRPF jawans, Pitroda said that it would be naive to assume that if some people came here and attacked, every citizen of that nation is to be blamed. "I don't know much about (Pulwama) attack, it happens all the time, attack happen in Mumbai Taj hotel and Oberoi hotel. We could have reacted then and sent our planes but that is not the right approach according to me that's not how you deal with the World. 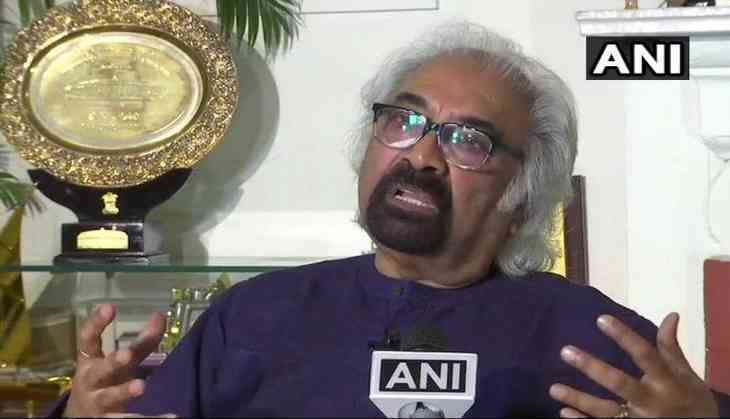 Eight people come (referring to Mumbai 26/11 attacks) and do something, you don't jump on the entire nation," said Sam Pitroda in an interview to ANI. When asked if he questioned the Indian Air Force's version of the Balakot air strikes, Pitroda clarified that an attack is different from making a claim of 300 dead. "We cannot be emotional. Data has to be neutral. So you come in today and say 'I killed 300 people' and I say wait a minute, the World is saying we didn't kill anybody or kill less or kill more.. I don't know," added Pitroda. When asked if Dr. Manmohan Singh when Prime Minister was as decisive in his actions as PM Narendra Modi, Pitroda said that PM Manmohan Singh was one of the best Prime Ministers the country ever had. "A lot of people ridiculed, a lot of people have written articles, they have done movies. It is all bogus," he added. Pitroda also said that he disagreed with the way PM Modi acted post-Pulwama attack. Pitroda went on to say in the interview that since 2014, a populist government had risen in both India and the United States. "The formula is to create fear by saying that there is enemy at the border. In India, it is Pakistan. In US, it is Mexican immigrants. Then say everything is bad because nobody is competent," he added.